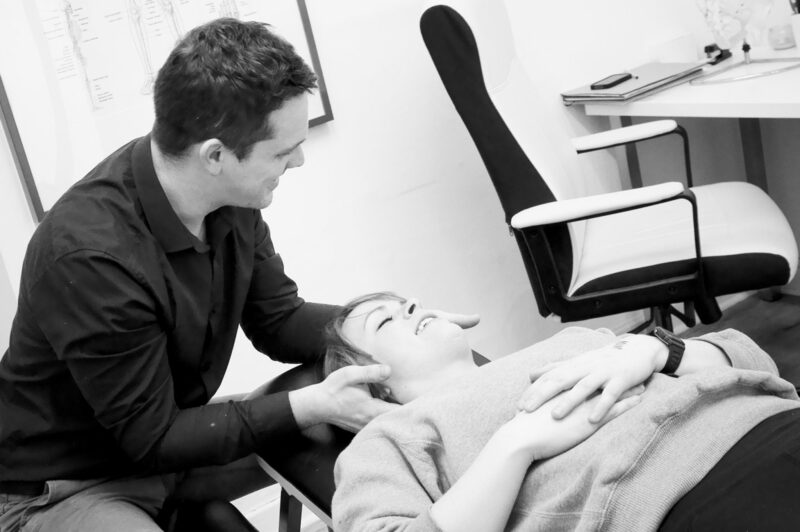 Chiropractic specialises in the diagnosis, treatment and overall management of musculoskeletal conditions. The most common conditions treated relate to the involvement of the bones, muscles, ligament, tendons and nervous system. The chiropractor uses manual therapies to treat the complaints and will not prescribe medication for any condition that is treated at the clinic. The assessment is composed of a detailed history, followed by a physical examination. Once this has been carried out, the chiropractor will explain what has been found in the examination and how you can move forward with regards to treatment. Chiropractic care focuses on manual therapies, but also the psychological and social aspects of the patient’s lifestyle. Many of the key points that either prevent a patient from improving or allows them to carry out everyday activities, lie within this section of treatment.